If you were charged with drunk driving in California after a sobriety checkpoint investigation, you need the help of a competent attorney as soon as possible. Please contact Wallin & Klarich at (888) 749-0034 or www.wklaw.com. If you are stopped at a sobriety checkpoint, the officer may ask for your license and registration. They are primarily looking for signs of impairment. If they suspect that you are under the influence of drugs or alcohol, they will perform a chemical test and may also employ field sobriety tests or conduct a drug evaluation. What signs of impairment are they looking for? What are my rights if I am stopped a checkpoint? As with any routine stop, you are required to provide identifying information such as your name, address, driver’s license, and registration. By law, you do not have to say anything. Remain silent. Anything you say could potentially be used against you. Admitting to drinking, consuming or possessing drugs in California (even in small amounts: “I just had one!”) can be construed as admitting guilt. Don’t say anything. Most police officers will not tell you this, but you do not have to take field sobriety tests. Those are the one’s where you have to walk a line, touch your nose, and do other similar stunts. These are designed for failure. You are not required by law to submit to field sobriety testing. You are required, under implied consent laws, to submit to chemical DUItesting of your blood, breath, or urine, at the request of an officer. These may be done, out of the flow of traffic, at the scene of the checkpoint, or you may be brought to a nearby facility for this testing. If you are not arrested after testing, you are free to leave and do not have to say anything. If you have been stopped at a sobriety checkpoint and feel that your rights were not upheld or that you were unlawfully searched, you may wish to contact a qualified and experienced attorney at Wallin & Klarich who can determine your legal rights and options. If you were charged with drunk driving after a sobriety checkpoint investigation, you need the help of a competent California DUI defense attorney as soon as possible. 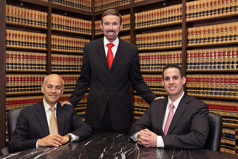 Please contact Wallin & Klarich at (888) 749-0034 or www.wklaw.com.